A few people asked me how did my hair get so long recently - considering I did cut it lol. Simple answer. Clip in extensions. Hairdo is the brain child of Ken Paves who you might know of being the long time hairdresser of Jessica Simpson. 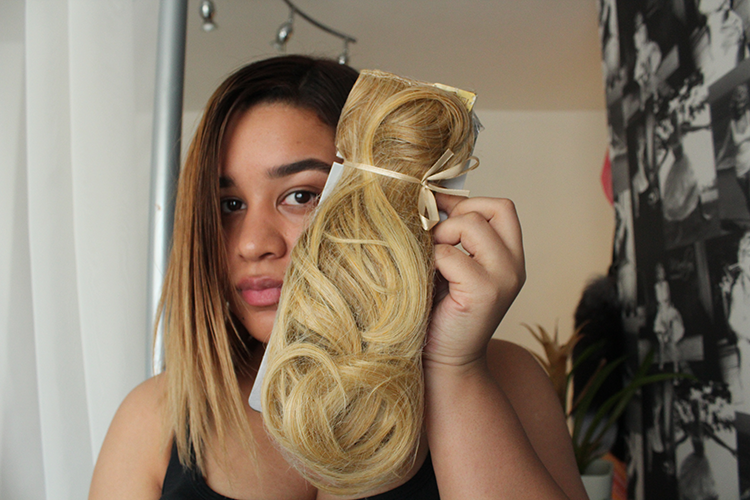 This is just one bundle of hair. I have mine in the colour butterscotch as I had to remind myself that my ends are quite light with the blonde and the rest of the hair covers the rest. I have NEVER used clip ins before, always been quite unsure with the clip-ins because I always think they are so easy to come out. I parted my hair just above my ear and secured the clips as best as I could. Let my hair down and viola. 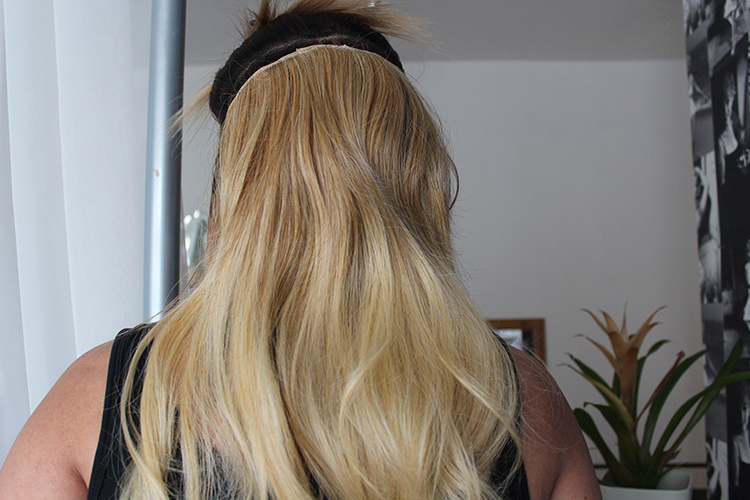 Once styled and blended in, have some longer blonde pieces to my hair. Let's talk about the hair itself. The Tru2Life synthetic fibres withstand heat to up to 350F roughly 175C it does say on the instructions for what you are doing the best suggested temperature such as if you are straightening with a flat iron take a one inch section straightening at the roots and run the flat iron to the ends. If you are curling the hair wrap the hair around the iron for 10 seconds and carefully slide off the iron and hold the curl in place, pin it with a clip until the fibre cools. Both of these can be done at a heat of 116C. I guess I'm not the biggest fan of synthetic hair - is anyone? But what I do love about this is how it's just one bit of hair that can easily be attached to the hair. I recommend these especially for those with shoulder length hair who would love that ombre style but don't want to go through the process of bleach. These come in 6 variations. These look cool on you LaaLaa, I keep meaning to ombre my hair but like everything else I procrastinate, plus I dont want to damage my hair!! WHAAAAAT?!?!?! This looks amaaaaazing!!! 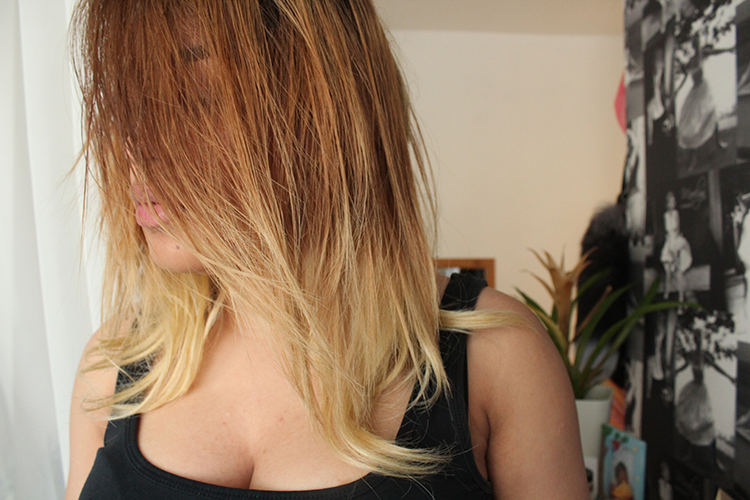 Now I want ombre hair!!! 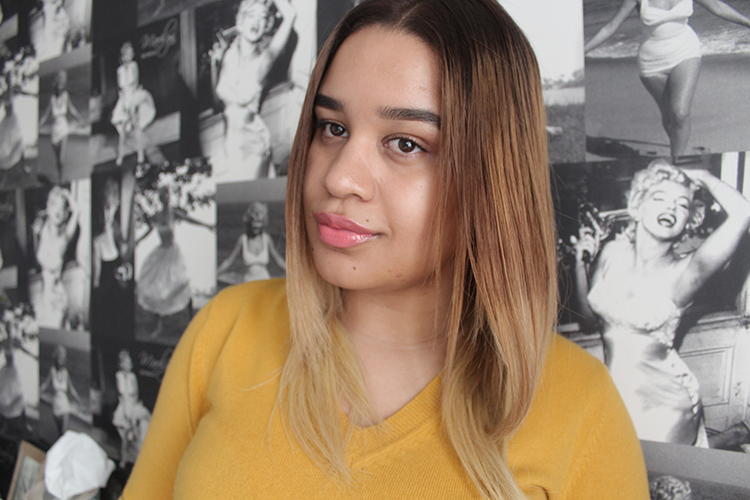 You actually blended this in really well loool I'm actually surmised how well it work for y ou . . .i want ombre hair now!!! It is so cool.I like this style! Good!!! thank you for showing this! ive had my hair dip dyed but miss wearing my hair extensions. 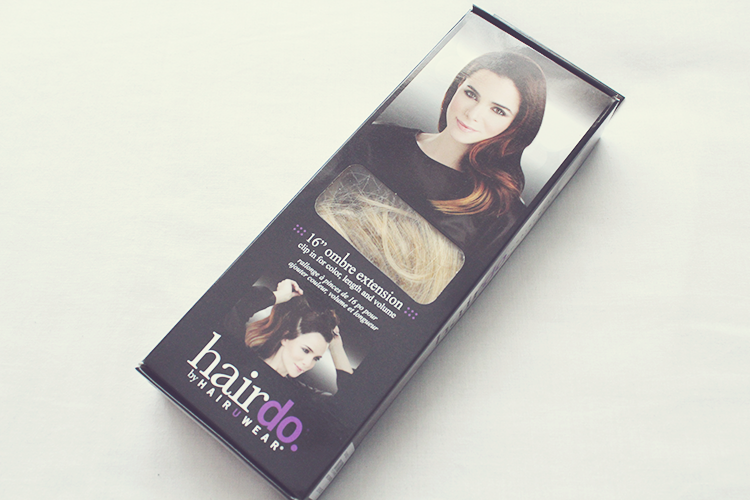 i bought the hair do ones in the colour R29 and it matches the ends perfectly!